Sometimes the siren call of a toaster waffle or a sausage biscuit is too much to handle. We’ve all been there while trying to rush for early morning appointments. Maybe you woke up late or maybe you’re just not in the mood to babysit a pan for half an hour while trying to get cleaned up for the day ahead; Whatever the reason, having a few quick low carb breakfast recipes on hand can help your most sluggish days feel just a little easier. 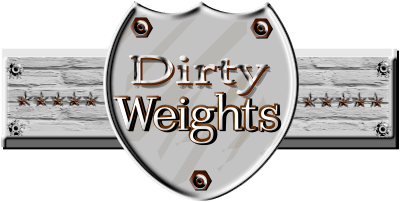 If you’re on a low carb high fat diet, the key to breakfast success when you’re not in the mood to spend much time is to do as much prep work the night before as possible. Whether it’s something as simple as shaping up sausage patties for ease of cooking or pre-slicing and measuring everything so you can dump it in a pan and go, preparation will buy you precious time for hectic days! Double down by making sure your kitchen is ready for cooking and your implements are clean and in order. Further time saving comes in the form of gadgets that can make sure even the sleepiest chef produces a tasty breakfast and investing in some of the best food slicers to keep your fingers safe is a solid way to keep yourself nice and safe in the process. If that’s not enough, try a few keto-friendly dinner ideas to round out your carb-dodging. Until that time rolls around, though, here’s three simple breakfast recipes to get you out the door that much faster when your life won’t slow down enough to let you cook for very long! What makes this so attractive is that it’s both carb-friendly and also time-friendly. Really, you can go as far as making these sausage egg muffins ahead of time to freeze and thaw later, though you might be happier with the results if you make the egg “muffins” fresh. Still, it’s not a bad alternative to carb-heavy sausage biscuits. Grease your pan with your fat of choice and save a little for your biscuit cutters assuming you want a restaurant look to your muffins. Otherwise, go freehand and let nature dictate how your breakfast looks! Fry up your sausage patty for two to three minutes per side after liberally seasoning with salt and pepper to taste, then set it aside and repeat the biscuit cutter buttering to make the egg-based biscuits. Preparing the eggs really depends on how you like your eggs. Scrambling them means you’ll have more stable sausage transfer from plate to mouth, but you can technically do anything from a sunny-side up to an ill-advised poached egg for the truly adventurous. For time-saving, though, scrambling is recommended. Add a little water to your pan, put in your egg rounds and cover the pan to ensure everything cooks through thoroughly. That’s it! Add any extra accouterments you find particularly enjoyable. Avacado? Guacamole? Bacon? It all depends on how you like your eggy goodness to taste. Go wild! Smoothies are always a good decision even when you’re not pressed for time. They’re tasty, healthy and give you a nice boost for your daily fiber intake without feeling like a chore. Unsurprisingly, this smoothie is about as difficult as adding a few ingredients to a blender and sending them on a puree adventure until smooth. This recipe calls for plain yogurt, pineapple, slivered almonds and almond milk, but you should feel free to toss in any fruits you find particularly appealing. 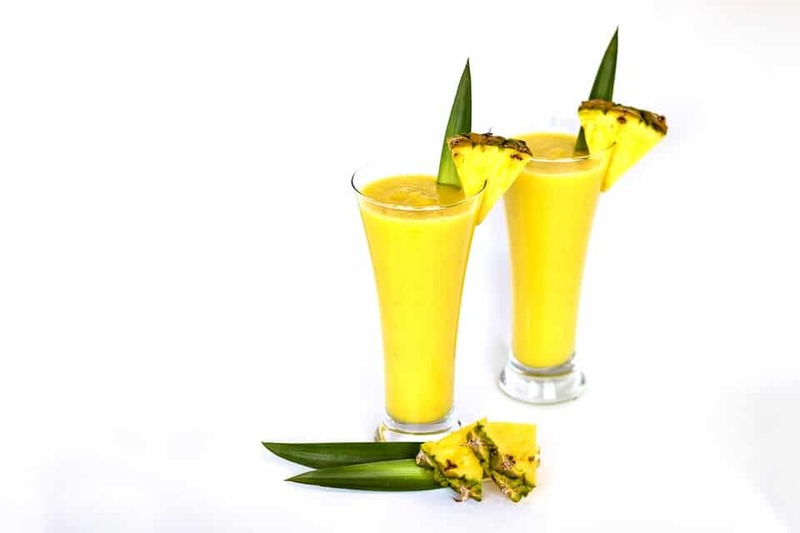 Mango and pineapple always pair together well, and you can even add a touch of coconut to play up the tropical ante. Feeling really rushed for time? Having trouble convincing yourself to turn on the stove when the sun rises? Tapas may be traditionally paired with drinks later in the evening, but you can prepare breakfast tapas well ahead of your scheduled wake-up time to get out the door on even the most harrowing of mornings. It’s hard to beat tapas as a low carb breakfast when you can create versions without any carbs at all! 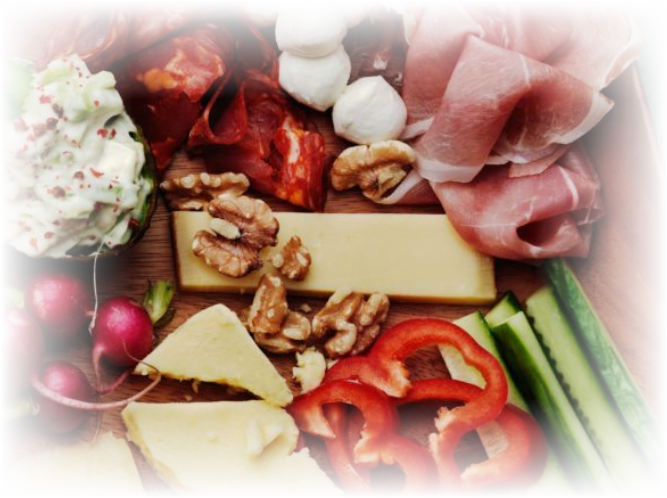 It’s really as simple as putting together a small platter of cold cuts, cheese and veggies for quick consumption. Sticking to lighter cheese and meats like mozzarella and serrano ham are suggested for this particular spread, paired with easy-to-eat veggies like cucumbers, radishes and peppers. If you’re an avocado fan, cut one in half and slice its flesh into small wedges, mix the wedges with homemade mayo and peppercorns and use it as a tasty dip. You can wrap up anything you don’t polish off for a midday snack that isn’t hard to tote around, either. Waking up late and rushing to work doesn’t have to mean skipping out on breakfast. In fact, preparing a low carb breakfast doesn’t have to be an affair even on your most relaxed of days. Sometimes it’s better to toss a few fruits in a blender and remind yourself why you enjoy the foods you’ve come to love instead of slaving over a stove to make your umpteenth batch of pancakes and your diet will surely flourish for your efforts! 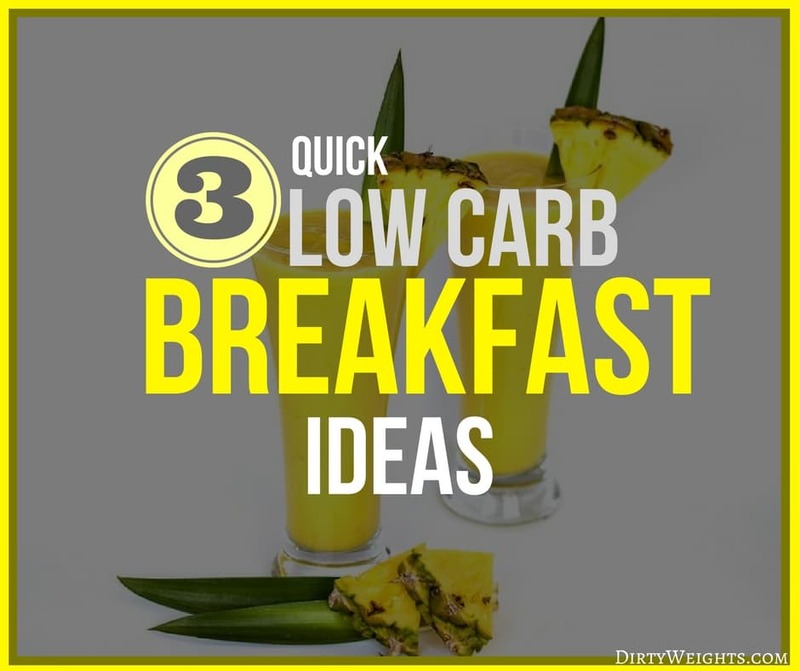 Low carb breakfast ideas can be a bit difficult when you're in a rush. 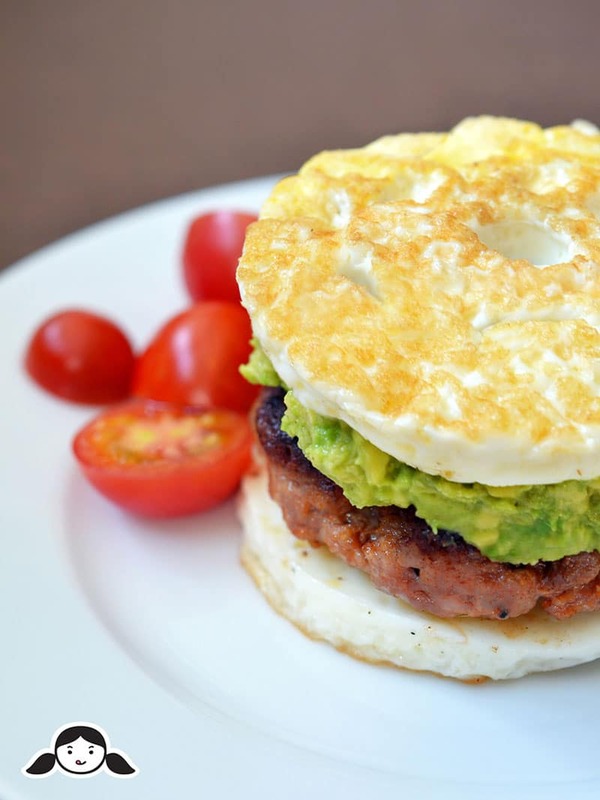 Here are three easy low carb recipes that will help you get on with your day.